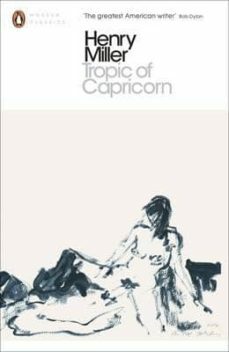 A cult modern classic, Tropic of Capricorn is as daring, frank and influential as Henry Miller first novel, Tropic of Cancer - new to Penguin Modern Classics with a cover by Tracey Emin. A story of sexual and spiritual awakening, Tropic of Capricorn shocked readers when it was published in 1939. A mixture of fiction and autobiography, it is the story of Henry V. Miller who works for the Cosmodemonic telegraph company in New York in the 1920s and tries to write the most important work of literature that was ever published. Tropic of Capricorn paints a dazzling picture of the life of the writer and of New York City between the wars: the skyscrapers and the sewers, the lust and the dejection, the smells and the sounds of a city that is perpetually in motion, threatening to swallow everyone and everything. "Literature begins and ends with the meaning of what Miller has done." (Lawrence Durrell). "The only imaginative prose-writer of the slightest value who has appeared among the English-speaking races for some years past." (George Orwell). "The greatest American writer." (Bob Dylan). Henry Miller (1891-1980) is one of the most important American writers of the 20th century. His best-known novels include Tropic of Cancer (1934), Tropic of Capricorn (1939), and the Rosy Crucifixion trilogy (Sexus, 1949, Plexus, 1953, and Nexus, 1959), all published in France and banned in the US and the UK until 1964. He is widely recognised as an irreverent, risk-taking writer who redefined the novel and made the link between the European avant-garde and the American Beat generation.